Michele was born in Padova, Italy where he started swimming at the age of five. He never swam competitively, but received a solid technical training over many years and he has always been a keen swimmer. Breast-stroke and front-crawl are his favourite strokes, but he is highly proficient in all four main strokes. 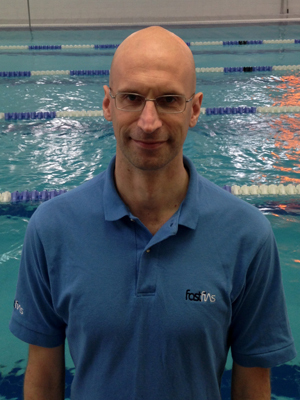 Michele first qualified as a swimming instructor in Italy in 1998 (FIN, Federazione Italiana Nuoto) and has worked as a swimming instructor for over 17 years. Michele loves training triathletes, teaching Butterfly and coaching competition starts and turns.